Organic Pest Control. I know, a thrilling topic, isn’t it? Well, it’s not as exciting as an “O” post can be. I had toyed with O is for…um….well, you know. <blush> But since we were a little forward with Saturday’s post, I decided to skip the intimate topic in favor of one that may not be as scintillating, but is practical and hopefully helpful! Yuck! Not in my house! I am not a huge fan of spiders, but I can live with common house ones. And I have a special affinity for Daddy Long Legs. But you know what skeeves me out? Ants and silverfish! When we used to have an Orkin contract, my Orkin lady (yes, I had a lady, not a man. Ophelia was my Orkin lady and she was fabulous!) reassured me that they were annoying but not dangerous. I don’t care. I don’t want them crawling all over everything. But with small children in the house, spraying chemicals just isn’t a wise option. The following are some natural ways you can kill these indoor pests and prevent them from invading your home again. Sprinkle Borax, baby powder, or pepper along points of entry, such as baseboards and door jambs. Ant not only don’t like the smell, they don’t like the texture under their little feet and often won’t try to cross it. Place cloves or bay leaves along points of entry, especially on your countertops. Ants don’t like the smell. 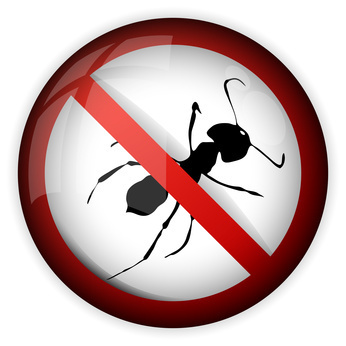 Frequently remove the ants’ scent trail by cleaning with vinegar diluted with a little water. This is the best way to remove the scent. Don’t forget to wipe down your walls, as well as the counters and floors. Don’t leave food open. Keep it sealed and keep it off the floor. Silverfish like starch. Bait them with some crackers dusted with Borax. The boric acid is a stomach toxin. They also cannot climb up smooth surfaces. You can set traps for them by wrapping the outside of a mason jar with masking tape (to provide friction for them to climb), setting a bait inside the jar, and waiting until they fall in to eat the bait. They won’t be able to climb back out and you can then dispose of them. Sprinkle diatomaceous earth around affected areas. It will dehydrate them and kill them. Use rosemary, salt, cloves, or cucumber peels as a deterrent. My tried and true method: yell loudly until husband or son come to kill the offending intruder. This only works when you aren’t home alone. Stay out of my garden! Ladybug, ladybug, don’t fly away! Ladybugs are a gardener’s best friend. They eat harmful aphids, mealy bugs, mites, insect larvae… all those nasty bugs that hurt your crops. You can actually buy ladybugs at most garden centers, which for some reason I find a little fascinating. Also beneficial are lacewings, bumble bees and honeybees, praying manti, and hover-flies. You can encourage these beneficial bugs by planting flowers near your crops that attract them. Check out this article on creating a Garden “Mini” Insectary. Prevent snail and slug damage by keeping them out of your garden using barrier methods. Sprinkle salt, wood ashes, crushed egg shells, or diatomaceous earth around the border of your garden. These pets will be unable to cross. Use a homemade pesticide spray. You can try the recipes listed here or here. Check your crops on a daily basis for beetles and worms, and pick them off when you find them. Can be time consuming, but worth it to control any damage they may do. Use a light netting over your crops that will prevent flying insects from landing, but will allow the sunlight to filter through. If you have other suggestions for getting rid pests in your house or garden, please share them in the comments! If you see a spider inside your house, place an upended glass over it. Then insert cardboard between the surface the spider is resting on under the glass. You can take it outside and let it run away. Be sure to murmur a directive: ‘Never come back again. Stay in the garden where you belong’. Wow, great tips! I just bought a box of Borax, so I’m learning about all the great ways to use it.